“Diversity” and “Inclusion” at Seyfarth are not just aspirational words. Our efforts are driven through tangible action, continuous improvement, and constant learning. 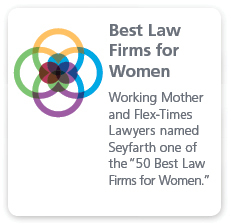 Our innovative programs — inside the firm and in partnership with our clients — help advance the careers of Seyfarth’s growing populations of diverse lawyers. 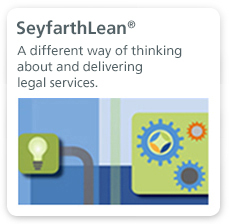 At Seyfarth Shaw LLP, we have always taken a strategic approach to strengthening the diversity of our workforce. We do so for two simple yet powerful reasons: our business benefits from it, and our clients demand it. The past several years have brought greater strides in our diversity and inclusion efforts. Our Rooney Presumption policy boosts our recruitment of diverse attorneys. Our Ally Program helps us retain our diverse attorneys, giving them the support and mentorship they need. 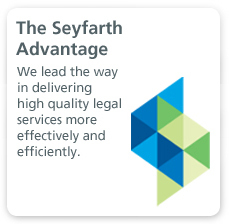 And SeyfarthLife emphasizes the relationship between business results and professional satisfaction, ensuring that Seyfarth personnel — especially diverse attorneys — can reach their highest levels of performance and career satisfaction. We launched these three initiatives in the past year and a half, building on the foundation that earned us the regional Thomas L. Sager Award in 2013. We’ve earned honors every year since then, with recognitions from organizations including the Human Rights Campaign Foundation and Working Mother magazine. Our spirit of continuous improvement has helped us expand our pipeline of diverse talent and delight our clients with excellence in legal service. We employ more than 20 individual programs supporting diversity and inclusion, often developing them in partnership with our clients. Creating focused programs, policies and business practices that drive change. Building active engagement throughout our organization. Delivering on the expectations of our people -- and especially our leaders -- to build a more diverse, inclusive culture. Using the influence of the world around us -- clients, organizations, our profession, the people we know -- to bring our efforts together and create an impact. Actively building relationships through personal, professional and social networks. Demonstrating and supporting the work of others to drive change in the profession. Recognizing and identifying opportunities for change or growth at all levels or stages of legal careers, from high school through equity partnership. Focusing on evolving professional needs, especially at key transition points, such as promotion into partnership and entry into the law firm setting, either after law school or in a lateral move. Developing new career paths and opportunities that match the changing landscape of the legal industry. Diversity is at the forefront of our firm’s client- and talent-centered culture.